Spacious work area – The top surface measures 31.25" x 22" with enough place for multiple monitors, laptop and full size of keyboard. 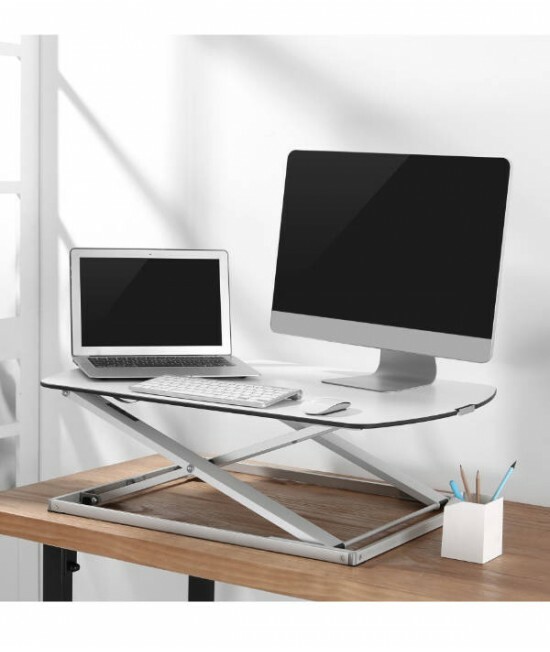 Easy to use – Switching from a sitting to standing position in one easy motion. 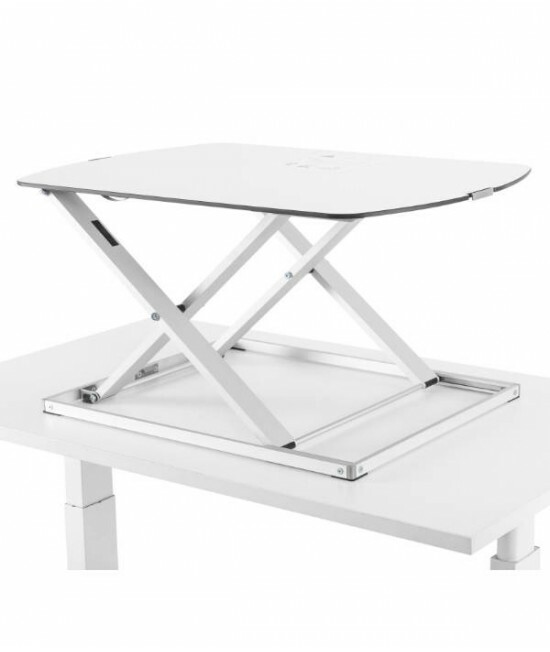 It's easy to use the spring mechanism to raise and lower the desk in a fluid motion. 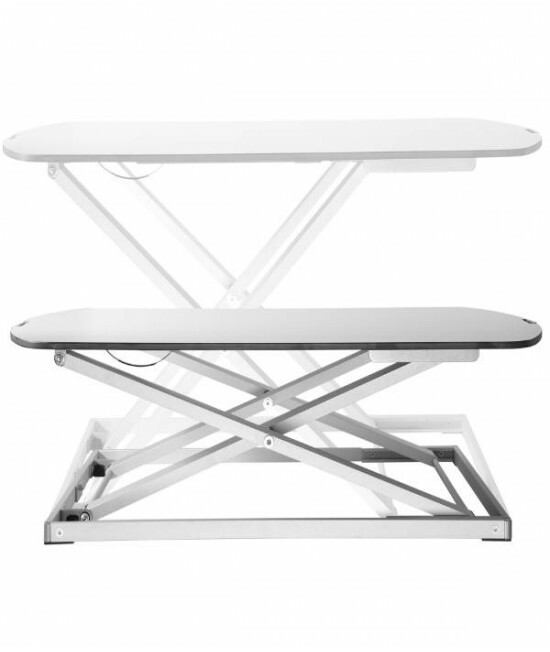 Quality materials – Premium white tabletop and silver/grey aluminum legs complement your stylish office. No assembly required - Pre-assembled and ready to use right away!